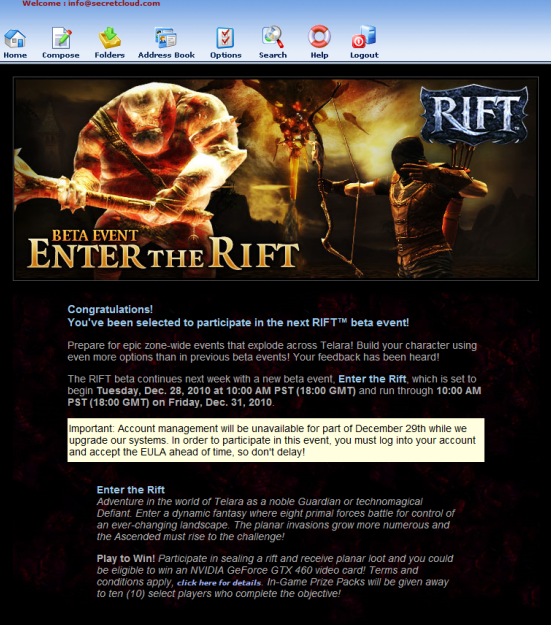 Rift beta #3 - "Enter the Rift"
The next beta event will be starting today! Of course we are patched and ready to go! Be sure to check back in the New Year for more RIFT screenshots! If this is your first time visiting be sure to check our archives for previous RIFT related exclusives! © 2011 secretcloud.com. Simple theme. Theme images by enjoynz. Powered by Blogger.